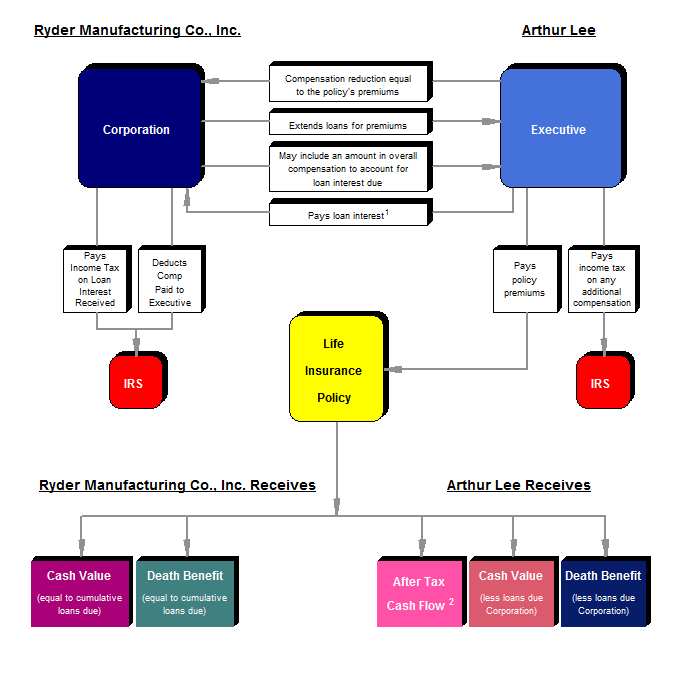 This System contains three modules that illustrate advanced executive benefits. 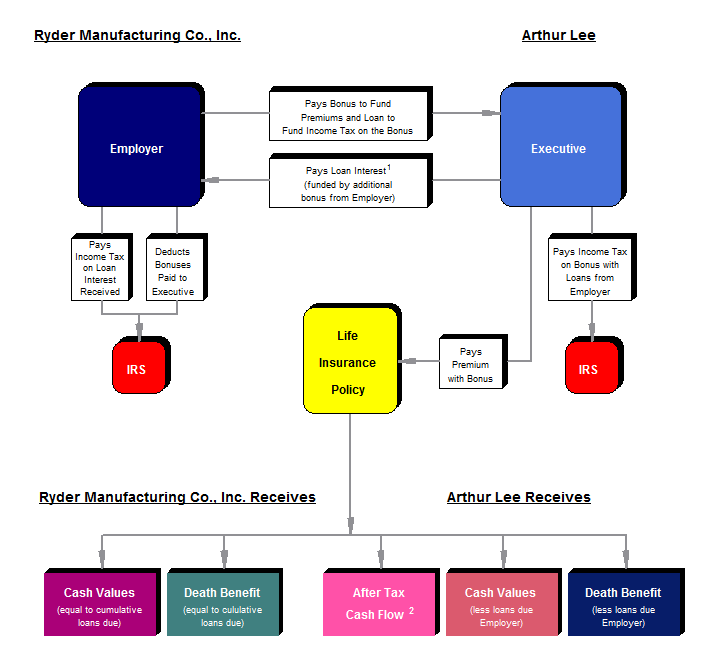 Leveraged Executive Bonus in which the employer 1) bonuses a key executive an amount equal to the premium on a personally-owned policy and 2) loans the funds to pay the tax on the bonus. Leveraged Deferred Compensation couples a reduction in an executive’s compensation with loans from the employer which are used to pay the premium on an executive-owned policy. 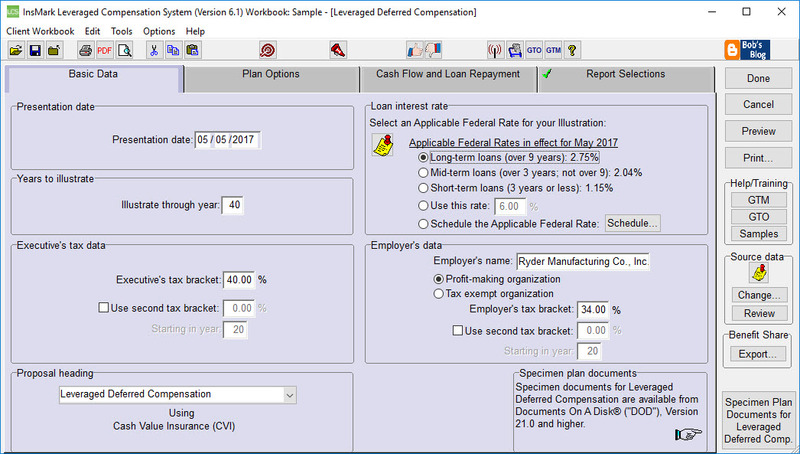 Unlike the typical deferred compensation arrangement, this arrangement produces tax free retirement income (via policy loans). The concept provides an irresistible executive benefit for any executive who can afford the compensation reduction and typically produces a credit to earnings for the employer in all years. Leveraged 401(k) Look-Alike -- This arrangement is similar to Leveraged Deferred Compensation but is designed to be marketed as a COLI alternative that provides producers tax free retirement income (via policy loans).